Taj Mahal and Agra Fort entry fees are not included. Witness the Taj Mahal and get an insight into rural village life on the way! The Taj Mahal is one of those rare world famous sights that exceeds expectations. Any trip to Delhi is not complete without a visit to Agra, taking in this jaw-dropping architectural marvel. But we want to take you deeper. While the Taj Mahal is the must-see sight, Agra Fort is also spectacular and would be the crowning jewel of almost any other city. On the way south to Agra, we’ll stop for chai with some of our friends in a small village. While in Agra, between visits to the two big sights, we’ll have a home-cooked lunch in a local home. The day will be a balance of must-see sights and local cultural experiences – the perfect day in India! We will visit the Taj Mahal and Agra Fort with the assistance of locally certified expert guides. Your friendly guide from Reality will be with you the entire time as we travel from Delhi to Agra and back again on this day tour. Learn about village life as we stop for a chai with community members of a small village en route to Agra. Your guide will be there to facilitate any questions you may have. 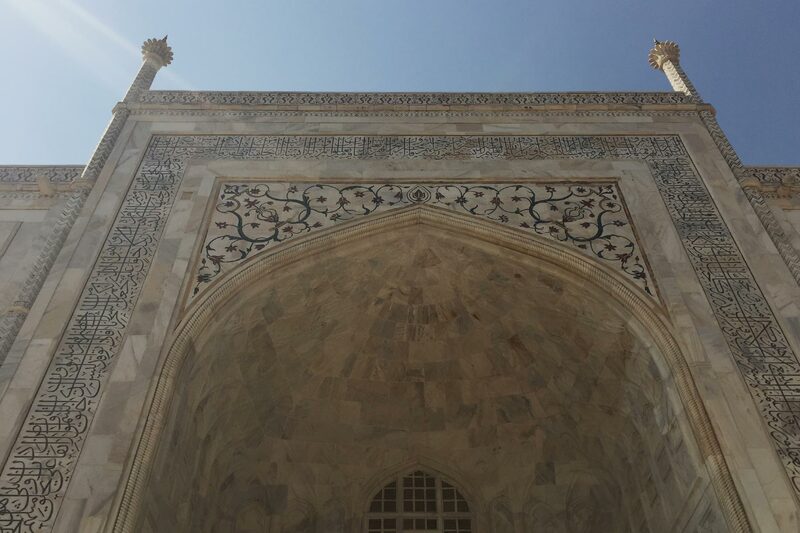 Gape in awe at the Taj Mahal. Spend some time wandering around the courtyard, taking in the architecture, history, and refined beauty of this world-famous mausoleum. Afterwards, we stop at a local family’s house for a delicious home-made vegetarian lunch. Get ready to feast! Agra is also home to the impressive, 94-acre Agra Fort that, although often overshadowed by the Taj, is spectacular in its own right. How long will it take to get to Agra? It takes 3.5 hours to drive to Agra from Delhi. We will travel in a private air-conditioned car and stop at a small village for a chai on the way there to break up the journey. The village we visit is located mid-way between Delhi and Agra. What will we do at the village? We’ll drink a chai, walk around the town and speak with anyone who is around in order to learn about village life. Are entry fees at the Taj Mahal and Agra Fort included in the tour price? Entry fees to the Taj Mahal and Agra Fort are not included in the tour price. I’m not interested in the fort, can we skip it? We would highly recommend including the fort in your day. Although less well-known, it is very impressive and our guests are always happy they went. It also has an interesting view of the Taj Mahal. But if you would like to skip it, we can. We’ll have a home-cooked vegetarian lunch that will certainly include roti and a few vegetable dishes. Sometimes we have dishes such as dal (lentils), mixed vegetable curry and paneer vegetable curry. Will the guide be with us the entire time? Yes, your guide from Reality Tours will accompany you the whole day. When we go into the Taj Mahal and Agra Fort we will be assisted by a local guide. I’m only one person, can I book this tour? Yes, no problem, it will just cost a bit more. Why doesn’t the tour run on Fridays? Because the Taj Mahal is closed on Fridays! 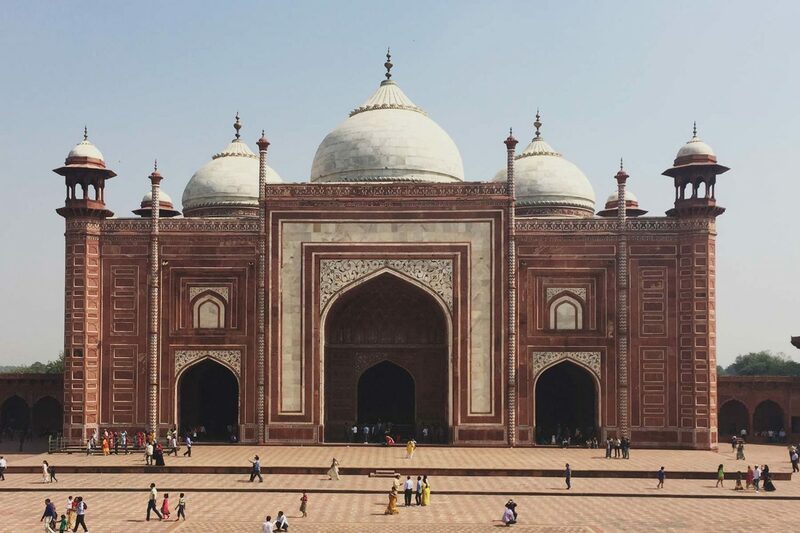 We leave at the crack of dawn to avoid the notorious Delhi traffic and to ensure we have time to visit both the Taj Mahal and Agra Fort before the sun sets. Do you provide tours for larger groups? Absolutely. Please get in touch if you are organising a group visit and we would be happy to help. You can email us at info@realitytoursandtravel.com. Can we also add Jaipur? We are planning on continuing to Jaipur, can we end in Agra? Yes, we can drop you in Agra and you can continue on from there but the tour will still be the same price. Also, be sure to look into your onward transport options in advance as this can sometimes be expensive.